Marvel’s Spider-Man is a refreshing take on the character. 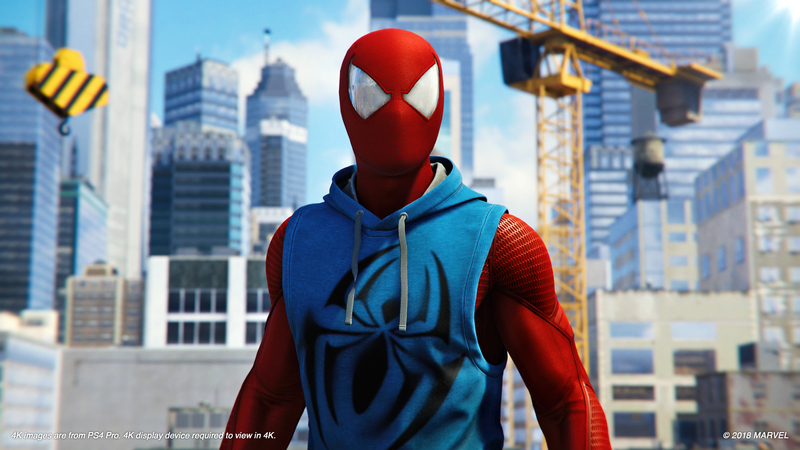 Players have been enjoying swinging around New York as the webslinger, and it is all because Insomniac had its pick from the Marvel’s stable of characters. In a new interview Insomniac CEO Ted Price elaborated on why Spider-Man was right for the developer. Price told IGN the duality between Spider-Man and Peter Parker was one of the big appeals for everyone at Insomniac. He noted, “[Spider-Man]’s so human, and he’s so relatable. He’s also the most popular Marvel character in the world, I think, but it was more Peter and Spider-Man that drew us to that particular character.” Price also noted that the studio members saw themselves as “scrappy underdogs,” much like dear old Spidey. As many pointed out when Marvel’s Spider-Man was announced, Insomniac had plenty of experience with open-world traversal, with the Xbox One-exclusive Sunset Overdrive. Price said the studio saw Marvel’s Spider-Man as a test. He noted, “[For example], how do you traverse through a city quickly in an entertaining and skillful fashion without [it] being too hard or too easy?” Web swinging is a mechanic Insomniac spent quite a bit of time on, and it definitely shows in the final product. Many players are well aware of the Easter eggs hinting at the greater Marvel universe. While characters outside of the Spider-Man bubble don’t properly appear in Marvel’s Spider-Man, we definitely know they exist. Maybe a sequel will introduce new superheroes? Marvel’s Spider-Man has already been an immediate success, which means we may see more costumed antics.